Buy and earn 310 points valued at £3.10. BE A PIONEER. GO WEST. BE EXCEPTIONAL. The legends of the West continue to inspire thanks to the frontier mentality of the American pioneers. It also depicts the White Hat versus Black Hat, good against evil. The attraction for wide open space, the western saloon decorated with minute engravings inherited from the Renaissance style, so many strong codes that inspired the new limited edition of the House ST Dupont: Conquest of the Wild West. The writing instruments and the Ligne 2 lighter, limited to 1500 pieces each, are adorned with natural lacquer-work black as a Mojave night with a splash of stardust. A stylised bullet hole, clean as a sharpshooter's aim, cuts through the lighter body, a design unique to ST Dupont. 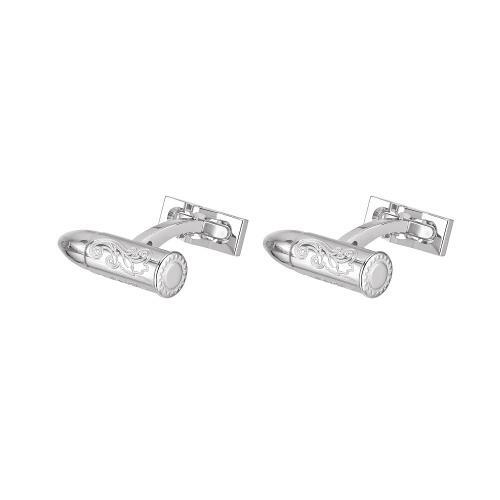 Take no prisoners with these bullet cufflinks. Crafted by S.T. Dupont artisans and featuring exquisite engraving detail, these brass and palladium cufflinks are the perfect finishing touch to any modern trailblazer’s collection.